A look at quick and easy and inexpensive cemetery theme outdoor Halloween decorating. Everything cost around 0, and aside from the Mummy which I got on sale for at the annual Halloween store, everything was bought at Target and Party Fair.. When I get 500 subscribers, I’ll have a free give-away contest, open to anyone anywhere in the world, so please subscribe! PLEASE SUBSCRIBE, COMMENT AND RATE! sassiwench.blogspot.com http sassiwench@gmail.com All items shown here were bought by me for my personal use. 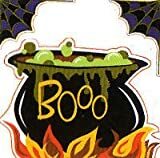 Halloween – Hocus Pocus Large Peel & Stick Wall Stickers. Washable, removable and re-usable. 30 quality licensed decals.